Award ceremony for participants of the next stage of the project, "I can swim!" was held on April 3 in the sport complex "Kauchuk". For the third year of the project, implemented by the Group of Companies "TAU", students of absolutely free learn to swim. 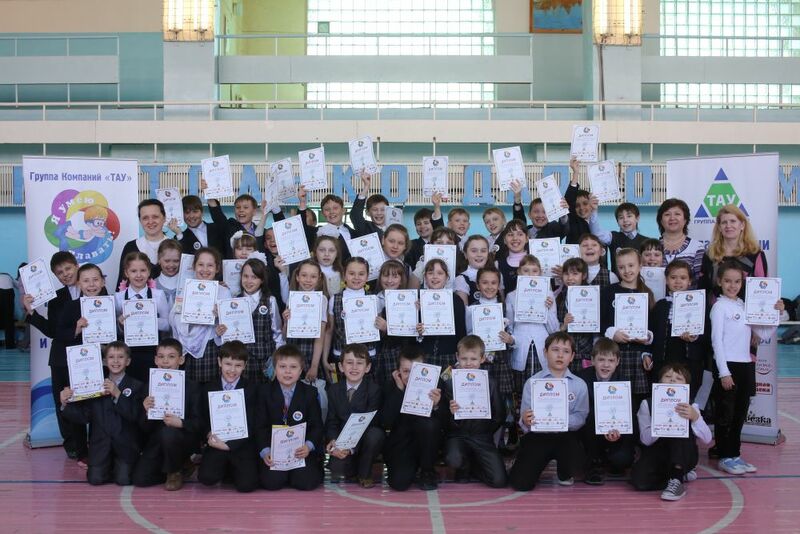 Over the course of the project, the group of companies "TAU" trained over 2,500 students 2-4 classes. After the course swimming lessons designed for 17 guys pass a test. At the solemn meeting dedicated to the end of the course, participants receive everything sweet gifts, certificates and badges "I can swim!". Project organizers this year decided to introduce a new tradition - handing the Cup school, students are actively and responsibly participated in the project. At the end of this course, the school received an honorary cup number 17. The Cup of the "I can swim!" Will take its place in the collection of awards the school. By providing a free opportunity for children to learn to swim, the group of companies "TAU" accomplishes several important objectives. First of all, it is promoting a healthy lifestyle among the younger generation, as well as the development of children"s and youth sports Sterlitamak and search successful young athletes, who may have in the future will represent Russia in world sports.